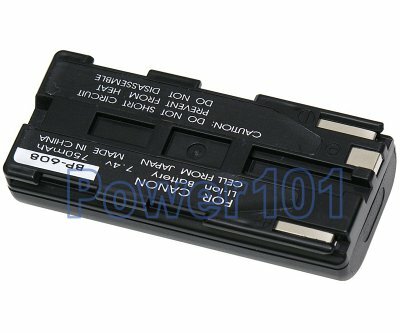 This battery is only compatible with Canon CV11, PV1, ZR, Elura, MV20, MV100. Please check your camcorder with our camcorder battery finder. Please check BP-617 battery - it should deliver twice the runtime. This battery can be charged with any charger compatible with Canon BP-608 batteries or directly on the camcorder.